On the banks of the East River, surrounded by towering loft buildings with views of the Brooklyn Bridge and Manhattan Bridge, is an early 20th century relic housed in a glass pavilion designed by an award-winning French architect. Nestled in Brooklyn Bridge Park, Jane’s Carousel opened in 2011, after a lovingly painstaking restoration that took nearly three decades to complete. Today, it’s more than a merry-go-round in the middle of a touristy park: it’s a destination in and of itself. The waterfront site “was very spectacular, and I felt we needed something very exciting and elegant,” Jane Walentas, the artist who lovingly restored the carousel to its former glory, told The New York Times in 2011. As new residential and office buildings crop up and continue to transform the once-industrial Dumbo neighborhood into one of the trendiest, most expensive sections of Brooklyn, the carousel is a symbolic nod to the past. It’s more than a merry-go-round in the middle of a touristy park: it’s a destination in and of itself. Around the world, carousels are making a solid comeback in cities, thanks to developers, artists, collectors and restorationists who appreciate both their craftsmanship and historical relevance. 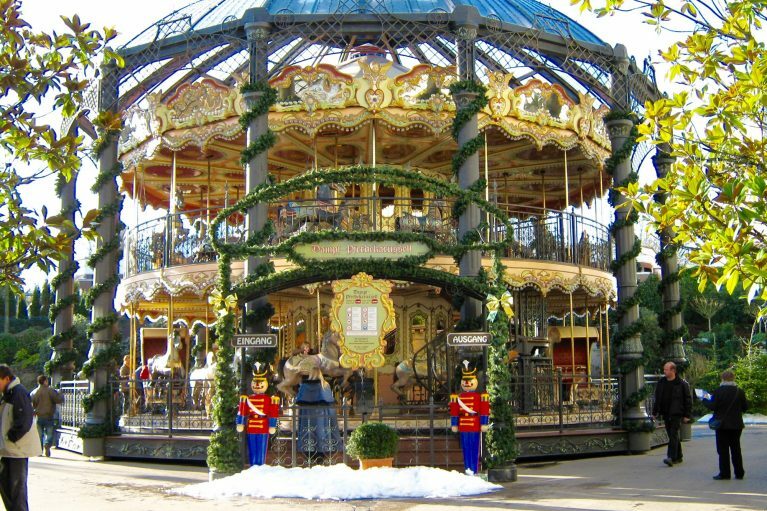 Paris alone has more than 55 carousels, including temporary ones that often pop up around the holidays. A mix of nostalgia, beautiful craftsmanship and placement all help to cement their enduring appeal among people young and old, says Bette Largent, president of the National Carousel Association. “We have a thriving carousel industry today because the carousel was the first ‘fun’ thing to do and still is fun,” Largent says. Originally built in 1922 for the Idora Park amusement park in Youngstown, Ohio, by the Philadelphia Toboggan Company, Jane’s Carousel was carved by John Zalar and Frank Carretta. It was purchased at a 1984 auction by developer David Walentas and his wife Jane, an artist who spent 27 years in her Dumbo studio painstakingly restoring it. The restoration included scraping away 62 years’ worth of park paint by hand with an X-Acto knife, and repainting, stenciling and re-leafing the carousel’s scenery panels and structural parts in strict accordance to 1922 renderings, according to Friends of Jane’s Carousel, a nonprofit organization that operates the carousel. “I was brought up to finish stuff. I felt very driven by it. Two busloads of people from Youngstown came to visit these horses two years ago, telling me ‘I got engaged on it,’ ‘I had my first date on it,’ or to visit their favorite horse. I felt I had to find a home for it, even when we didn’t know where it would go,” Walentas told The New York Times. Before its opening, Walentas commissioned Pritzker Prize-winning architect Jean Nouvel to design a glass pavilion to house the carousel. The carousel sustained minor flooding damage in 2012, and after a stunning photograph emerged of it floating in the East River, illuminated before a backdrop of an eerily dark New York skyline, it became a symbol of resilience during Hurricane Sandy. Largent says it’s only fitting: Carousels bring communities together. 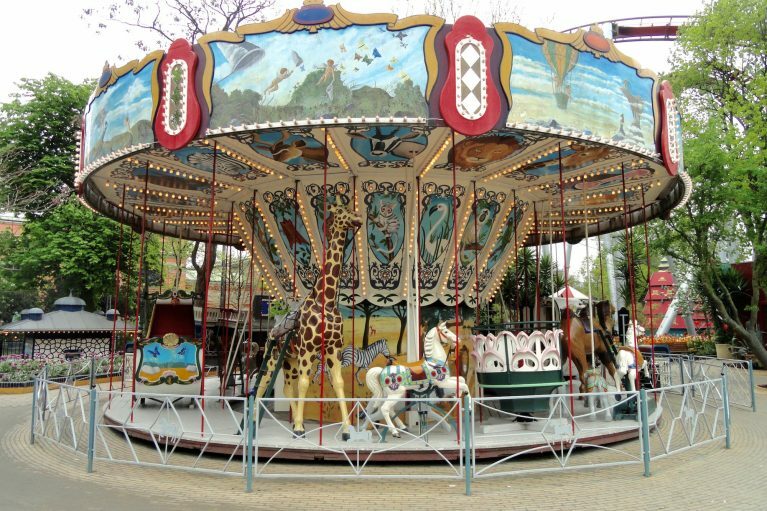 Here are some images of carousels around the world. 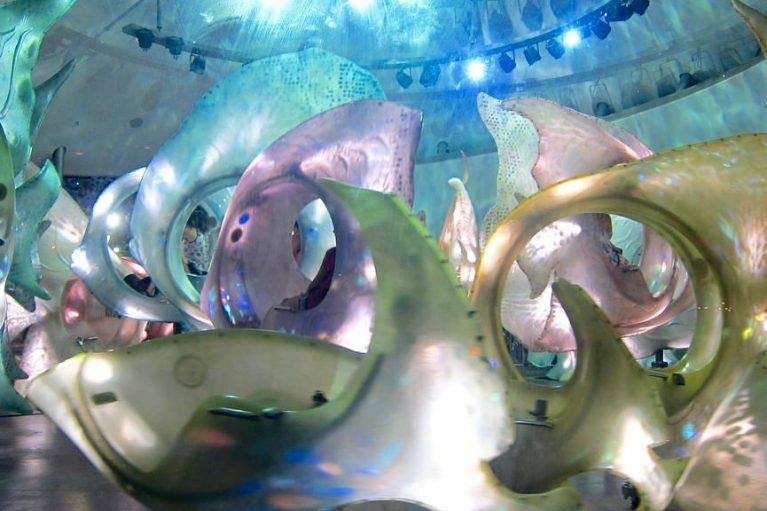 The SeaGlass carousel in Battery Park, N.Y., features color-changing lighting that creates an underwater atmosphere. Visitors can choose to ride on one of the carousel’s 30 fiberglass fish. The Columbia carousel in Santa Clara, Calif., is the world's largest carousel. 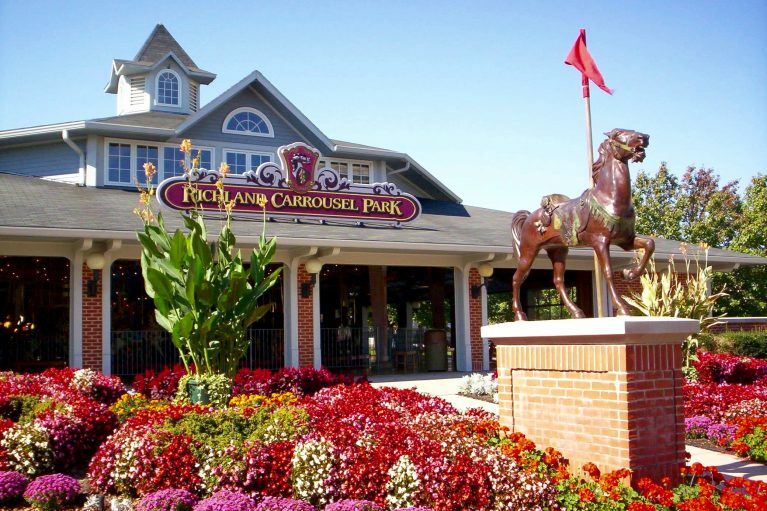 Every horse on the carousel is a replica of the one of world's most famous carousel horses. Jane's Carousel, built in 1922, is the first carousel to appear on the National Register of Historic Places. 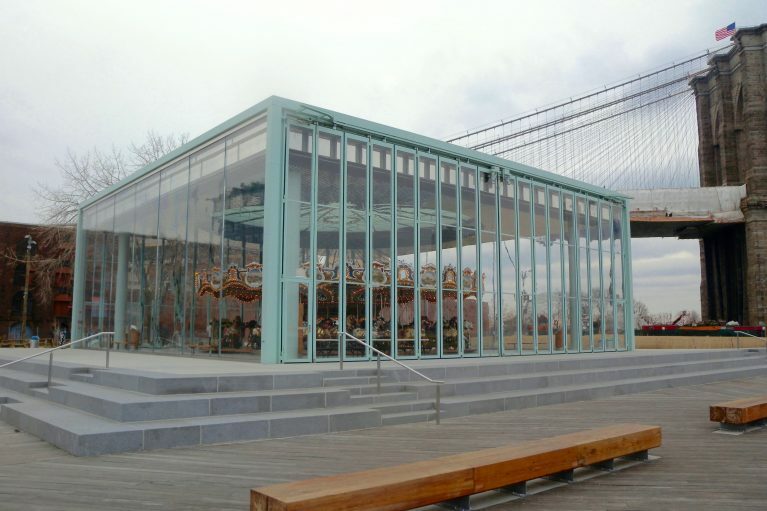 The world-famous carousel, located in Brooklyn Bridge Park, N.Y., is currently housed in a Plexiglas box. 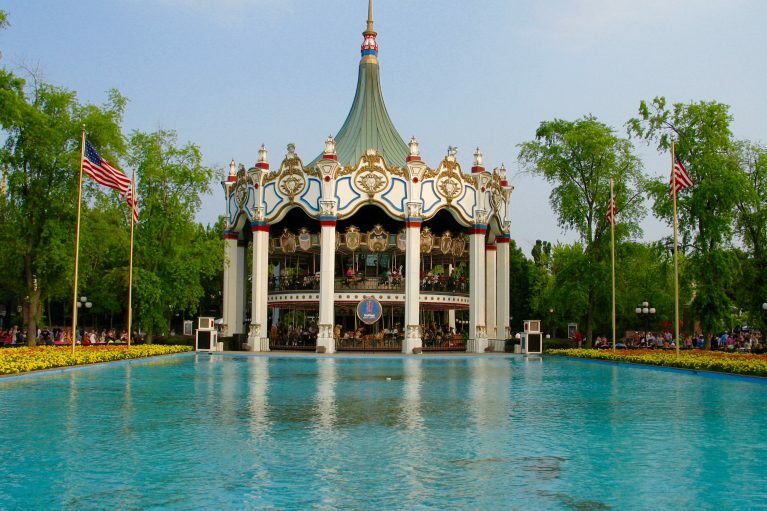 Richland Carrousel Park, in Mansfield, Ohio, was built in 1991 and is the first hand-carved carousel built in the United States since the 1930s. 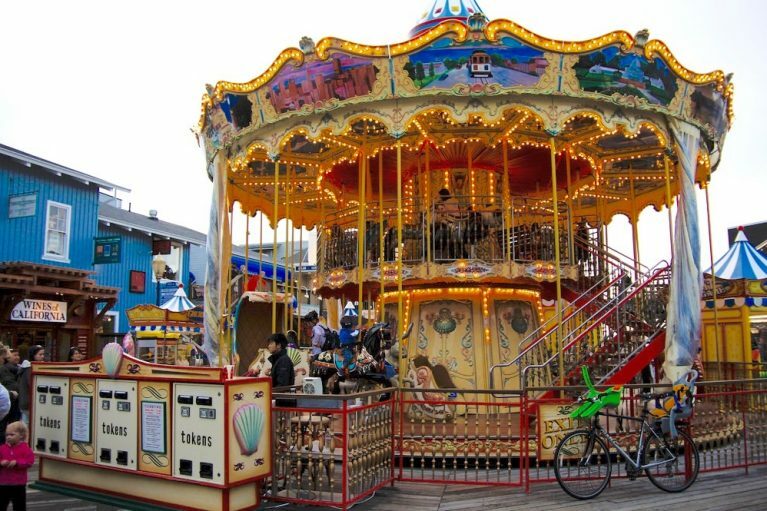 Tivoli Gardens, the world’s second-oldest amusement park, is home to the Dyrekarussellen carousel. While the park opened in 1843, the carousel carried its first riders in 1901. 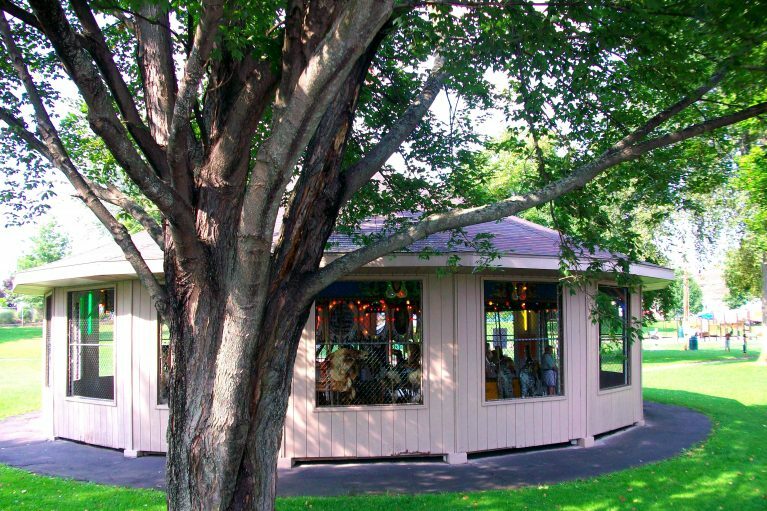 The West Endicott Park Carousel is located in Endicott, N.Y. It is one of six carousels donated by George F. Johnson, the owner of the Endicott-Johnson Shoe Company. The carousel at Phantasialand in Germany is one of the largest in the world. The San Francisco Carousel features hand-painted depictions of landmarks like the Golden Gate Bridge and Chinatown. The ride has over 1,800 lights and is located in Fisherman’s Wharf. 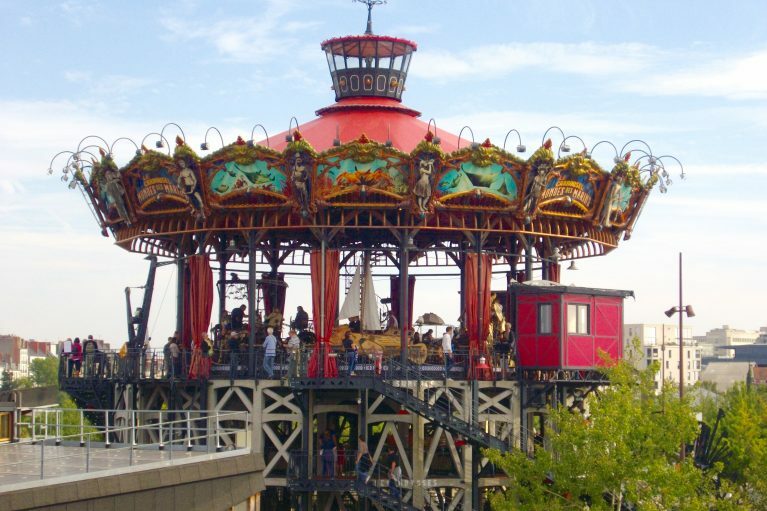 The 82-foot-high Carrousel des Mondes Marins in Nantes, France, was created from reinvented fairground art. The ride is filled with models of strange creatures from the sea.